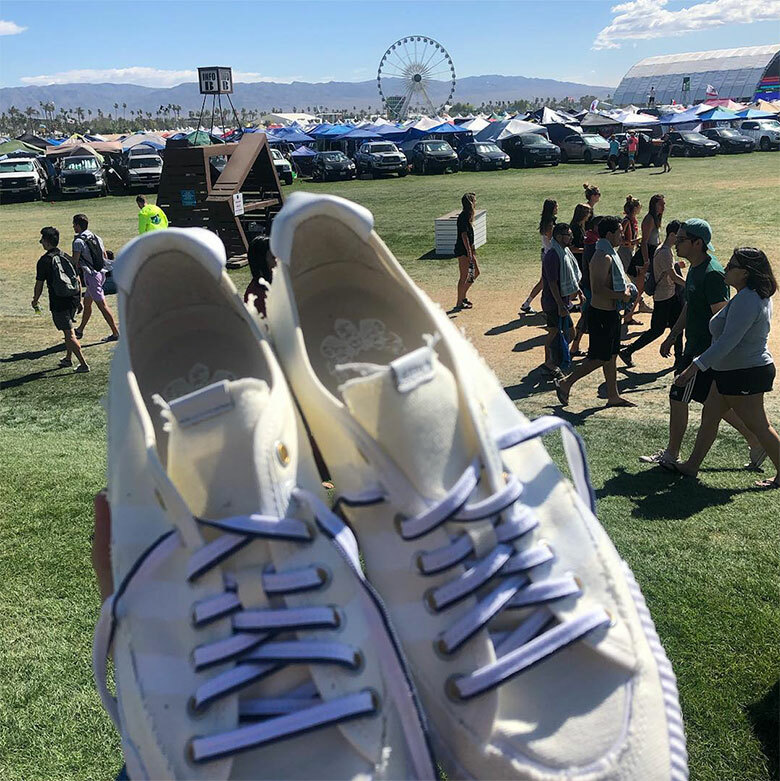 Coachella has officially begun, and adidas is getting ahead of the fun and sandstorms with the help of Childish Gambino, one of the key acts of the weekend-long music festival. Earlier this week we showed you a first look at his collaboration with the brand, revealed to be a Nizza with a worn-in frayed look befitting Glover’s laid back style. 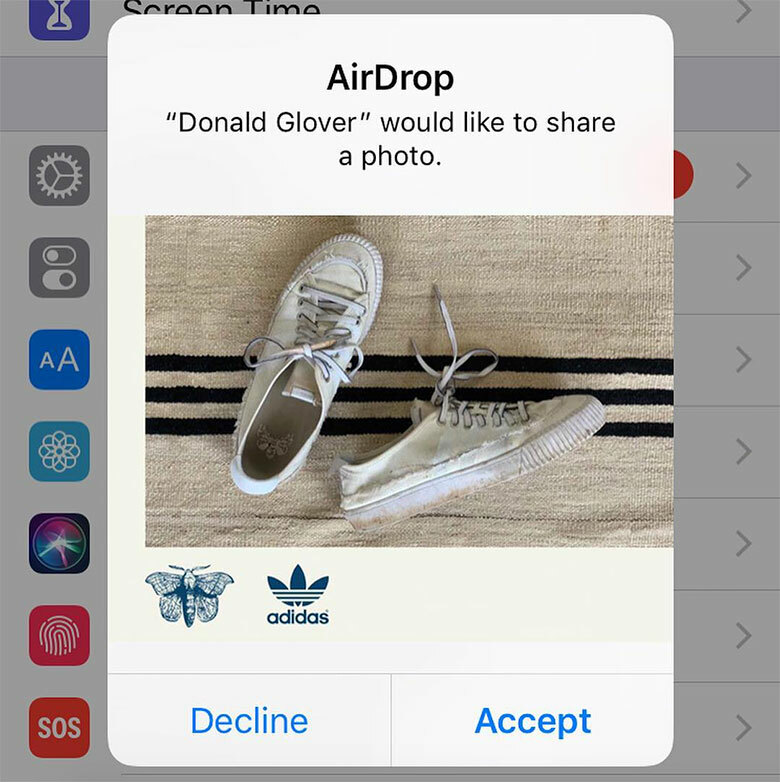 While a release of the shoes haven’t been confirmed, Donald himself is randomly AirDropping festival-goers, with the lucky few who receive and accept the transmission earning a free pair of the Childish Gambino adidas shoes. These image shared by @seanmchugh3 should be reason enough to keep your AirDrop on.